Allardville, NB, September 6, 2018 – A year ago, NB Power signed a 20-year agreement to buy about 6,000 megawatt hours of power annually from the Chaleur Regional Service Commission. The power will be produced from methane generated at the landfill site located in Allardville. 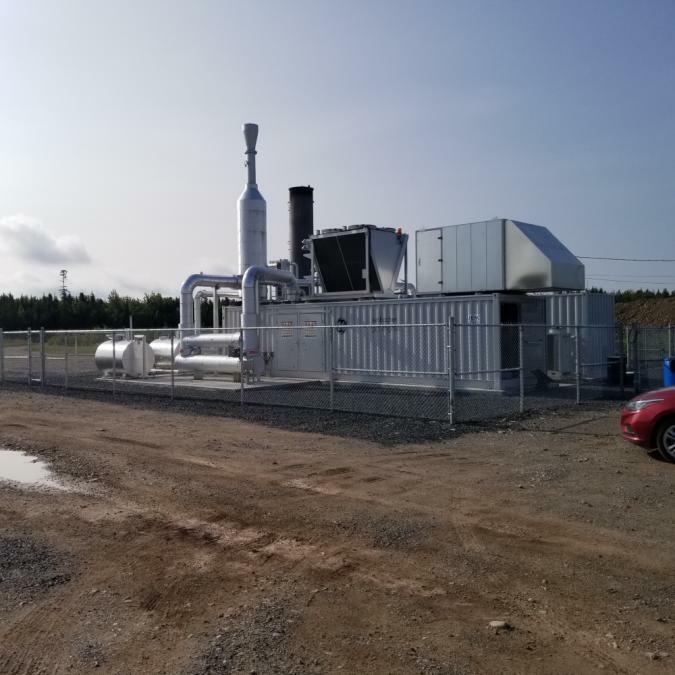 « We are pleased to announce that energy generated at the landfill has been feeding NB Power lines since August 14, » said the CSRC Executive Director, Jocelyne Hachey. In fact, « the installation and interconnection work on the NB Power grid has been completed one month earlier than planned. This will enable us to generate additional production revenues for the 2018 fiscal year », advises the director of solid waste management, Stéphanie Doucet-Landry. This project will help NB Power achieve its goal of having 40 per cent of its in-province energy generation coming from renewable sources by 2020.